Here’s a test to see if you are praying in his name. 1. If you are praying in His name you will receive regular answers to prayer. 2. If you think you are praying in His name and you are not living according to His will then you are not really praying in His name. 4. Ask yourself this question: “Can I stay focused on God while I pray for the things I desire?” If you cannot, that is, if you hold those things up, in your mind, next to the glory of God and you find that you are naturally more focused and affectionately drawn toward those things and less focused on the glory of God, then what you are asking for in prayer is not in His name. It is an idol. 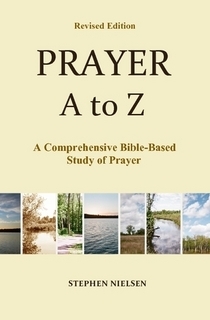 This entry was posted in Jesus' Name, Prayer A to Z Excerpts and tagged Abide in Christ, answers to prayer. Bookmark the permalink.